The January Tests for students at St. Stephens’ college, which started on Friday, January 8, literally took off on a dark note as commonwealth games construction work in the North Campus led to a power cut that lasted nearly two days. “Trenches are being dug up right outside the college. 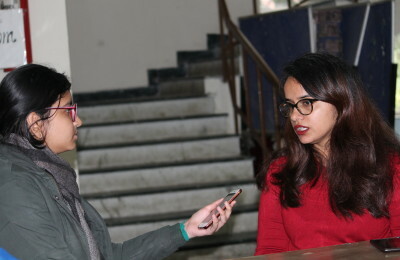 Our power supply cable snapped during this work on Wednesday night,” said Nandita Narain, Dean of Students’ Welfare, when questioned by the press. The resident students were worse affected and resorted to studying under candlelight or shifted to their friends’ places. The college hall and dining room were lit by generators and most students managed to write their exams comfortably. When power finally came back on Friday evening everyone heaved a sigh of relief.